Clinton County News	» MEDAL OF HONOR! After a struggle that has lasted more than 20 years and has been filled with ups, downs, promises and broken dreams, the news of a victory came via a long-awaited telephone call from Washington, D.C. Monday. President Donald Trump reached out with a telephone call Monday morning to inform Pauline Conner that her late husband, Garlin Murl Conner, would in fact receive this nation’s highest military honor – the Congressional Medal of Honor. Despite being contacted last week by officials at the White House to give her plenty of notice that she would be receiving a telephone call from the President of the United States, Pauline Conner was very hesitant at to the authenticity of the earlier call. “I was just scared to death that it was a scam of some kind,” she said Monday. In fact, she was so concerned about the authenticity of the message and whether or not the scheduled call from President Trump would be real or not, she asked local attorney L.C. Hoppy Conner and his wife, Susan, to be at her home at the time the call was supposed to come in. It didn’t take long for them to realize that the caller on the other end of the conversation was in fact the Commander In Chief. The awarding of the Congressional Medal of Honor will be made at a ceremony in Washington, D.C., with the President awarding the medal posthumously to Lt. Garlin Murl Conner, making the presentation to his widow, Pauline. Pauline Conner has worked alongside a host of individuals and officials in the effort to have the Medal of Honor awarded to her husband, telling the Clinton County News on more than one occasion during the 20 year-long ordeal that she did not think she would ever see the day come. The plight of having the nation’s highest military medal awarded to Conner first came to light many years ago when a retired soldier doing research on one of his own relatives, continued to come across the name “Garlin Conner” during battlefield accounts. Richard Chilton, a former soldier who served with the Green Berets and later became involved in military history, researched Conner’s military career several years ago, visited with the Conner family and was one of the leaders in the effort of going after the Medal of Honor for Conner. Chilton made a presentation locally concerning Conner’s military service to a crowd gathered at Clinton County High School, at which time he also presented the Conner family with a copy of his research findings. Conner, who passed away in 1998 at the age of 79, was Kentucky’s most decorated soldier of World War II, and reportedly the second most decorated soldier from that war, being awarded four Silver Stars, four Bronze Stars, the French Croix de Guerre, seven Purple Hearts and the Distinguished Service Cross. “. . . for extraordinary heroism in connection with military operations against an armed enemy while serving with Company K, 3d Battalion, 7th Infantry Regiment, 3d Infantry Division, in action against enemy forces on 24 January 1945, in the vicinity of Houssen, France. 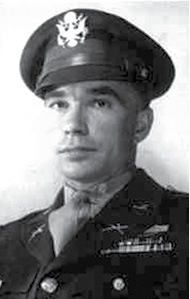 On that date, at 0800 hours, First Lieutenant Conner ran 400 yards through the impact area of an intense concentration of enemy artillery fire to direct friendly artillery on a force of six Mark VI tanks and tank destroyers, followed by 600 fanatical German infantrymen, which was assaulting in full fury the spearhead position held by his battalion. Along the way, he unreeled a spool of telephone wire, disregarding shells which exploded 25 yards from him and set up an observation post which he manned for more than three hours during the intense fighting. He was individually credited with stopping more than 150 Germans, destroying all the tanks and completely disintegrating the powerful enemy assault force and preventing heavy loss of life in his own outfit. First Lieutenant Conner’s intrepid actions, personal bravery and zealous devotion to duty exemplify the highest traditions of the military forces of the United States and reflect great credit upon himself, the 3d Infantry Division, and the United States Army. Serving in the 3rd Infantry Division, after being wounded, Conner “slipped away” from an Army hospital while recovering from battle wounds to keep from being sent home to Clinton County, instead returning back to the front lines of battle. Accounts of his actions during the war have noted that he often stood up during fire fights instead of crawling toward his enemy because he could get a better look at where the enemy was shooting from. Conner’s commanding officer, Lt. Col. Lloyd Ramsey, was wounded soon afterward, and was not able to see to it himself that the paperwork for the Medal of Honor was properly channeled. In later years, when completing his memoirs, Ramsey wrote that he had “never seen a man with as much courage” as Conner had, adding that his actions in January, 1945 should have certainly seen him awarded the Medal of Honor. Although he was reluctant to talk about his World War II experiences, Conner never quit fighting for his fellow soldiers and their rights earned for their time on the battlefields. After returning to Clinton County at the end of World War II, Conner became a familiar figure in his home county, but not because of his war heroics, rather because of his involvement with issues here, especially issues and activities related to war veterans and the agriculture life he chose to lead. Conner spent the rest of his post-war life farming with his wife, Pauline, and working to assist other veterans as a Volunteer and Service Officer with the Veterans of Foreign Wars (VFW) organization. 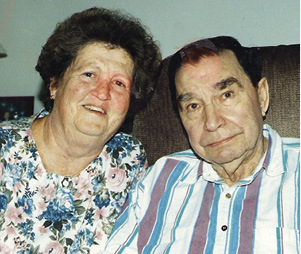 He and Pauline made their home in the Concord Community of south-east Clinton County. Their son, Paul Conner, and his wife Kathy, also raised their family in the same Concord Community. The argument to have Conner awarded the medal was taken to every elected official from Kentucky who would listen – locally, on a state level and especially to the federal level. At times, the prospect looked promising, then with seemingly every advancement that would be made, a stumbling block would arise in the path. In March of 2014, the effort received perhaps the worst news that had been experienced since the beginning when a federal judge, Thomas B. Russell, issued an opinion that noted due to a technicality in the case regarding the amount of time that had elapsed between the previous presentation of evidence, the statute of limitations had been exceeded. With that disheartening news, many people would have simply given up the fight then and there, but not Pauline Conner and the others who had already worked for nearly two decades to see this wrong made right. At that time, she noted that she would continue to battle for her late husband’s rightful honor as long as she was able. When that 2014 court decision was handed down indicating that the process had come to an end, even Chilton renewed his vow to continue working to see that Conner would be awarded the Medal of Honor. According to an article issued at that time by Associated Press writer Brett Barrouquere, Chilton vowed to continue to work toward having the Medal of Honor awarded to Conner by reaching out to lawmakers and veteran groups in all 50 states, requesting resolutions in hopes of having Congress to act on Conner’s behalf. Then, in a rare turn of events, the path seemed to once again make a turn that eventually led to this week’s positive results. In late 2015, the Army Board for Correction of Military Records voted unanimously, against the advice of its own staff, that the evidence was sufficient to warrant a recommendation that Conner receive the Medal of Honor. At that time, Dennis Shepherd, an attorney for the Kentucky Department of Veterans Affairs, said it was a rare move indeed for the panel to go against the advice of it’s own staff. The staff report to the board had noted that there was “insufficient evidentiary basis” for the granting of the medal, but the board disregarded that advice totally and instead acted in an “about face” manner completely. A few months ago, the News learned that the documentation necessary to move the awarding forward had landed onto the desk of U.S. Secretary of Defense James Mattis, and was awaiting his signature before it would be forwarded on to the President of the United States for final consideration. This week, that final hurdle was completed and on Monday, the phone call that Pauline Conner had been waiting on for two decades, finally came. For a long, long, long time, Clinton County residents, family and friends of Garlin Conner – known around here simply as “Murl” – have known he had been a hero on the battlefields of World War II. Soon, the rest of the world will know as well. Lt. Garlin Murl Conner – Congressional Medal of Honor (posthumously) recipient.